Welcome Robin, it’s so nice of you to drop by and bring us up to date on your new books. Thanks for having me Susan. I’m excited to share my new books and how they came about. 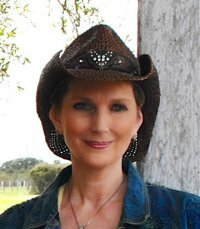 Robin Lee Hatcher, author of two new books is visiting today. One of her new books is Whenever You Come Around. Tell us a little about that book. The idea for the heroine’s dog to cause the hero to fall and injure himself so that he can’t work was the initial impetus for this story. I pictured it so clearly in my mind. The accident. The guilt. And then the heroine being obliged to help him while he is immobilized. It seemed the perfect set up for romance. This is the 2nd book in the Kings Meadow Romance series and the third book set in that location. It tells the story of Charity Anderson, a successful novelist, and Buck Malone, a wilderness guide. Charity has avoided returning to her hometown over the past decade due to a painful secret that has kept her an emotional prisoner. But flood damage to her Boise home has forced her to come to Kings Meadow for the summer so she can concentrate on finishing a new book. When Charity’s dog causes an accident that leaves Buck with a broken ankle and wrist at the start of prime tourist season, Charity has little choice but to render aid while he recuperates. Soon Buck becomes the inspiration for Charity’s hero, both on the page and off. The question is can he also help her face and overcome her fears so they might find their own happily ever after? The other book is titled I Hope You Dance. Tell us about that one. The heroine of this novella is a dance instructor, and the hero, who needs to learn to dance for his friend’s wedding, has two left feet. The heroine dreams of her own wedding day and wants a big family, and the hero, the second of ten kids, has no plans to ever marry and definitely does not want kids of his own. Of course they are made for each other. NOT! This book releases in July 2015 in the Year of Weddings novella series and the fourth book set in Kings Meadow. Grant Nichols is a genius in the kitchen and a klutz on the dance floor. But his friend’s wedding is shaping up to be a shindig the likes of which Kings Meadow has never seen—including dancing. Lots of dancing. Then he learns a local dance teacher, Skye Foster, is offering dance lessons for the wedding party. What does he have to lose? Oh how funny Robin. What made you choose this particular storyline for your books? Most of my stories begin with a little glimmer of the premise, one that will not let go, one that forces me to keep thinking about it. Then the characters begin to develop in my mind. And once the main characters fully blossom into “real” people, I let them tell me their stories. So the short answer is, the stories choose me, not the other way around. Were there any challenges in writing either book? When I started writing Whenever You Come Around, I thought that Charity’s high school crush on Buck was at the root of what would be the crisis. But eventually I realized that Charity had much deeper and serious hurts than unrequited love. It led to an overhaul of the story that was sometimes difficult to accomplish and more time-consuming than I would have liked. On the other hand, I Hope You Dance may have been the most fun I have ever had while writing. I loved Skye and Grant from the get-go. I loved the way they interacted. I love the way they fell in love. It was a joy to show up at the computer each day to see what would happen next. How did you choose the plots for both books? I’m an intuitive writer, and my books are very character driven. Which means most of the plot development happens in my subconscious, and it’s the characters who decide what will happen to them. I honestly cannot tell you where the idea of Whenever You Come Around first tugged at my imagination, but at the beginning, I thought it was going to be the story of high school sweethearts whose love went wrong. But it didn’t become that at all. It is a little easier to identify the genesis for I Hope You Dance. For this second Year of Weddings, rather than telling the stories of the actual brides and grooms, the authors are telling love stories about the people who help make the weddings happen. I chose to tell the story of a dance instructor who is in love with love and who dreams of her own wedding–if she can ever meet the right guy. With that setup for the heroine, it was obvious to me that the hero had to have two left feet (to start with). Everything else blossomed from that beginning. You do such a beautiful job of writing and I have enjoyed every book you’ve written. Can’t wait to read these two. Tell me, what’s next for you? Keeper of the Stars. This book releases in January 2016. It’s the 3rd book in the Kings Meadow Romance series and the fifth book set in Kings Meadow. It tells the story of Penny Cartwright and Trevor Reynolds, whom Penny blames for the death of her brother. It was difficult for Penny to understand when her younger brother chose to join a country singer’s band rather than return to Kings Meadow after college, and the separation strained their relationship. Then a car accident made certain her brother could never return. Trevor has chased stardom in Nashville for more than a dozen years, but it remains out of his reach. After an accident kills his young drummer, Trevor goes to Kings Meadow to keep a promise—and perhaps to discover what truly matters in this life. Oh, that sounds wonderful. Looking forward to this book too. Thank you so much for dropping by and telling us about your two new books. They sound wonderful, and when I leave here, I am going to go get both of them.